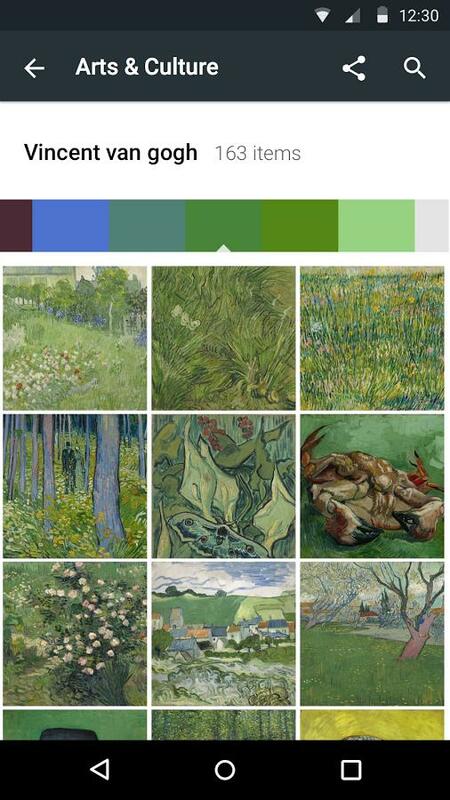 Google launched the Google Art Project in 2011. The project aims to provide a Web-based platform for people to see art with high-resolution images without visiting any galleries. Google began the project as a partnership with 17 major museums such as the Tate Gallery and Metropolitan Museum of Art. That partnership has now expanded considerably to showcase artworks and artifacts from more than 100 museums. As part of its project Google launched the Google Art Project extension for Chrome, which displays art from the museums on the browser”s New Tab page. More recently, the project further expanded with the Google Wallpaper Art app for the Chrome OS. That app adds museum painting wallpapers to your Chrome OS device. Now Google has just released a new Android app that further showcases a dazzling variety of museum artworks and artifacts. That is the Arts and Culture app available for the Android platform. This is a freely available app that includes images of artworks from more than 850 museums. Arts and Culture provides you casino with a plethora of snapshots of paintings, ceramics and other antiquities from museums. It includes options with which users can zoom into art images for greater detail. Furthermore, you can also explore museums and heritage sites with 360 degree panoramic tours. The app provides historical details for the iconic art displayed. The app requires 52 kilobytes of storage on your Android device. So that is a substantial amount of storage required. Note that you could always view the same collections on the Google Cultural Institute website. The site includes similar options to those in the app. If you do not have the Android platform, that website is a good alternative to the app. So now you can explore a variety of intriguing galleries and artworks with your Android tablet or phone. Some have stated that the app has lag, but it still boasts a great collection of art. You can find further details about Arts and Culture, and add it to your Android device, from this page on the Google Play site.